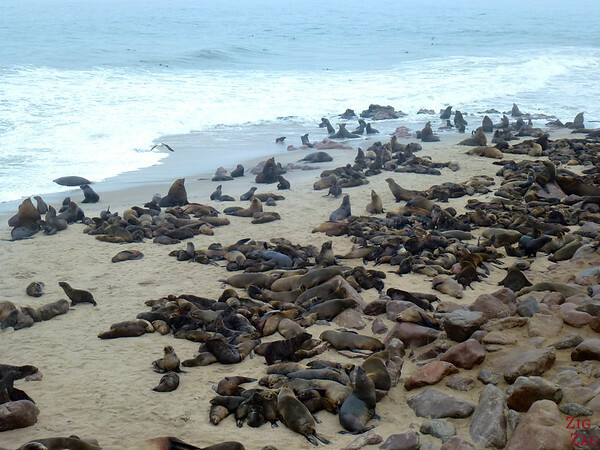 Yes, there are seals in Namibia, plenty of them. When people think of wildlife in Africa, they imagine elephants, lion, giraffes, zebras and more. Not many people mention seals. And yet the colonies of seals along the coast are huge, I saw them during a flight. And at Cape Cross I had the occasion to stand very close to the fur seals. 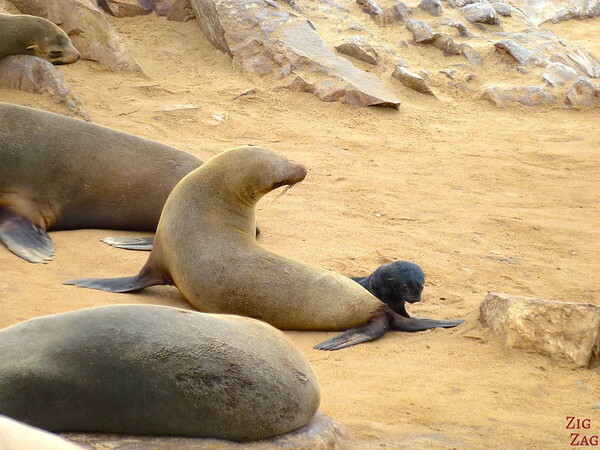 Cape Cross is famous for being the breeding site of the seal colony as well as for its historical value. The Cape fur seals are actually a species of sea lion. 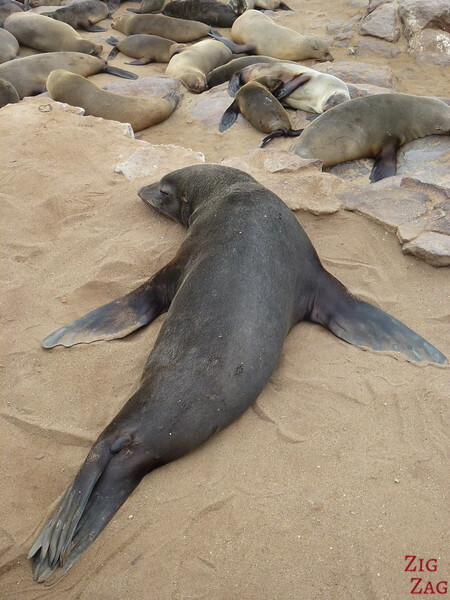 Along the Namibian coast there are more than 20 colonies with about over 600 00 seals. 200 000 of them are located at Cape Cross. The bulls come during the breeding period in October every year to mark their territory. A few weeks after the pregnant cows come to the colony to have one youngster. The pregnancy lasts for about 8 months. Be ready for the smell! The site of Cape Cross was very impressive. Thousands and thousands of seals everywhere: a feast for the eyes but sadly a difficult time for the ears and the nose! But they are so cute, especially the small ones, you can forget all that. And here is a video of them… it can show you the scale of the place although you won't realize the bad smell. 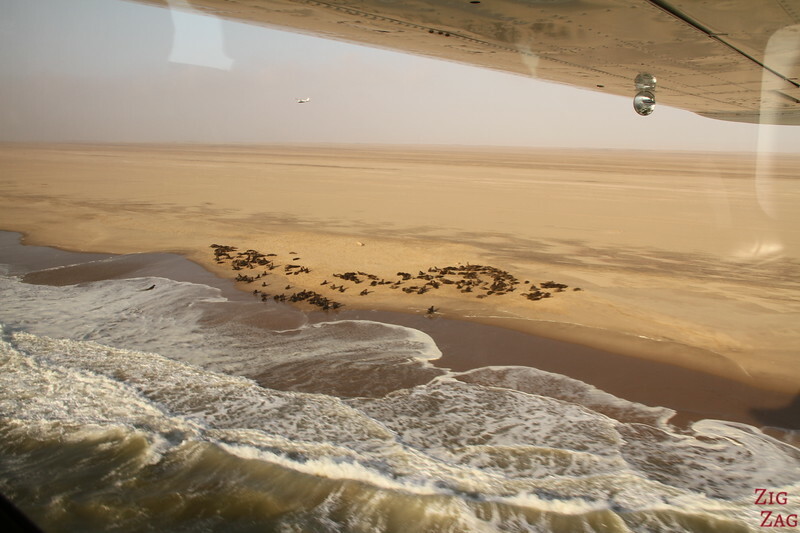 I did a flight from Swakopmund and realised that seals have set up all along the coast of Namibia. This is quite impressive. Have you ever seen so seals up close?